Dr. Strachan speaks regularly at conferences, churches, and other events. In the past, he has spoken at Together for the Gospel 2014, the CBMW National Conference, chapel at Southern Seminary, Boyce College, California Baptist University, and Criswell College, and churches that include Cornerstone Baptist of Detroit, Brookside Church of Omaha, and Valleydale Baptist of Birmingham. Strachan also speaks regularly at academic conferences. He has presented multiple times (every year from 2009-14) at the annual meeting of the Evangelical Theological Society. To contact him about speaking, write to owen.strachan [at] gmail.com. 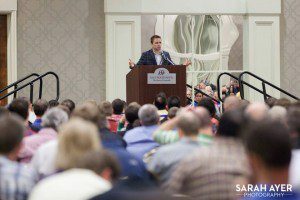 Dr. Strachan will be a breakout speaker at the SBTS “Resolute” collegiate conference. Dr. Strachan will participate in a panel on “Protecting Marriage: How to Get the Media Message Right for This Generation” (with Eric Teetsel, Ryan Anderson, and Penny Nance) at Proclaim, the national conference of the National Religious Broadcasters association. Dr. Strachan will speak in chapel at the Christian Academy of Indiana. Drs. Strachan, Denny Burk, and CBMW’s Executive Director Grant Castleberry will give a biblical manhood & womanhood conference at EQUIP ’15 at Castleview Baptist Church, covering topics ranging from biblical complementarity, marriage and family, to parenting in a secular age. Dr. Strachan will be a breakout speaker at the SBTS “Reknown” conference. Dr. Strachan will give an address and breakout at the Iron Sharpens Iron conference. *Dr. Strachan will be a plenary speaker on manhood at Covenant Life Church at the Mid-Atlantic Men’s Conference in Gaithersburg MD. Miguel Núñez, Owen Strachan, and Tim Challies will be speaking on marriage, manhood, and leadership at the Por Su Causa conference of the International Baptist Church in the Dominican Republic. Dr. Strachan will give lectures on complementarianism and the culture for The Spurgeon Fellowship.